recon Gore-Tex Pro Jacket (M/W) is rated 4.8 out of 5 by 5. Jackan recon Gore-Tex Pro är utvecklad i samarbete med svenska, norska och danska specialstyrkor och den är vår mest slitstarka och vindtäta skaljacka hittills. Det här är den fjärde generationen av den legendariska jackan och den är verkligen ett av de mest vattentäta, vindtäta och ventilerande ytterskalen på marknaden. Den är utformad för att uppfylla alla militärens krav och den passar för alla typer av jakt, expeditioner, glaciärvandringar, vandringar och allmänna friluftsaktiviteter. Den har en luftig passform med flera utrustningsfickor, däribland YKK WR-dragkedjan på 6 mm. Jackan skyddar inte bara bra mot moder natur, utan vi har även lyckats hålla nere vikten på plagget till en mycket imponerande och bekväm nivå. En riktig favorit bland Norrønas egna anställda med en design som fungerar överallt – från jakt på bergsplatån till toppturer (med skidor) i bergen, eller bara som en riktigt grym jacka för regniga dagar i staden. Tillverkad av återvunnet Gore-Tex-material. Unisexmodell. Rated 4 out of 5 by Thorgal from My review I'll just list the pro and cons about this jacket, as i have been searching ages for a sturdy hardshell to meet my demands and not a single is totally perfect but this jacket cames closest. positive about the jacket for me are: - good athletic fit, - great color, - i like the length of the jacket (half way on my upper leg) it doesnt climb up on my lower back when carrying a backpack, - even though there is only 1 adjustmentcord on the hood it works great and the hood moves with my head when truning my head, - i am really digging the gigantic armpit zips, its gives great options for ventilation, - i bought large, but maybe m would have been good as well. Still i didnt return cos i like the extra room to be able to wear this jacket all year round, with the velcro closed on my wrists it just gives some extra room on my elbows which is nice for movement. I am 1,84m. Some cons for me that could be improved upon are: - no storage bag along side the jacket, this doesnt need to be a waterproof bag, just a simple bag in which you can your jacket in as long as its not raining. It also helps with keeping your backpack better organized. - no stormflap on the outside - inside pocket is on the right side and not left, this doesnt make sense to me, the Norrona jacket my girlfriend got has the inside pocket on the correct side. - the pockets on the arms are kinda small and amkes it hard to grab anything from within. There is a elastic cord inside the pocket for easy acces i guess yet its attached to the bottum and not the top of the pocket which seems counterproductive. Pockets on the arms with a zip would have been easier for me at least i suppose. Still overal very happy with the jacket as like i said it outweights the negative points i had with other brands. Rated 5 out of 5 by Justigoo from Bombproof. One jacket to rule them all! 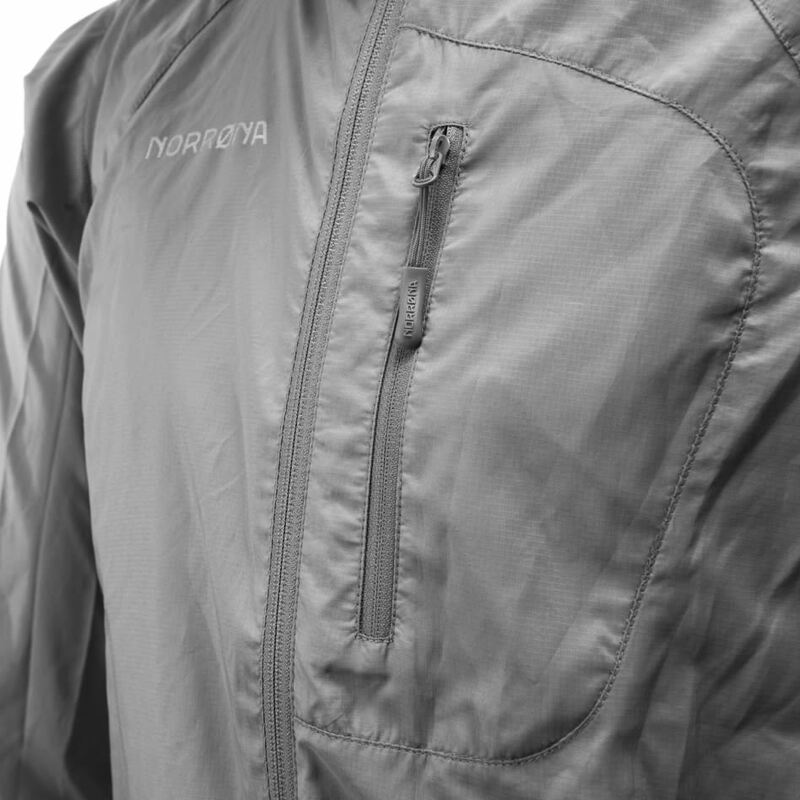 This is a brilliantly made, supremely practical waterproof shell jacket. The materials, the construction, the design are all second to none. The fit is practical and flattering. There are pockets for every conceivable occasion. If you need a solid, sturdy, dependable waterproof shell for activities outside in inclement weather, this is it. Looking forward to many years together! Rated 5 out of 5 by jp.lpy974 from That’s what I was expecting! Awesome! Placed the order on Tuesday at 22:00, delivered on Thursday, great service! The jacket is exceptionally finished. Must try under harsh weather. Only con is the size that suits a bit too large. Took a M instead of an L that was advised by the size app. Rated 5 out of 5 by Joshua from I'm no special forces I bought the Recon jacket and trousers some 5-6 years ago, so feel that I've now tested these products for long enough... I remember the day I picked up the jacket and trousers, I was completely blown away by the build quality of these products.. Since that day I have used them in the mountains of Snowdonia, surveying woodland, general day to day waterproofing. I have been out in some pretty horrific weather conditions over the last 5-6 years and Im always amazed at just how well these garments stand up to it. Also being the owner of four very energetic Spaniels these garments have seen their fair share of filth and grime, Ive lost count of how many times I have washed and reproofed them, but they always come out looking amazing. Thanks Norrøna for making such amazing products. Rated 5 out of 5 by Anonymous from Bought the grandaddy of this jacket 1999 I purchased the earlier generation of this jacket in 1999 when I lived in Stavanger. It has trekked with me through the world and has kept me warm and dry in great style. My ONLY complaint is that the two "leather" patches are starting to degrade a bit. This is absolutely my favorite piece of clothing and I sport it now in the Elk Range mountains in Colorado! Get lots of comments on the jacket. Hoping that the Gortex continues to last but I am watching for the day that I have to get it replaced and am REALLY hoping that Norrona can do the job! Yes it is. Just like the old one. I think it is even closing better than on the &quot;old Recon&quot;. What is the skinny flap on the left chest for? And how does it work? The flap on the front of chest is there to attach your military rank in case you would wear this jacket while on duty. I&rsquo;m thinking of buying a Recon set for hunting, but how noisy are the fabrics? It&rsquo;s made in china if it is what you want to know. How packable is this jacket? Does it pack down small? This jacket &nbsp;can be folded down to a very small size and fitted in the front pocket of a rucksack without any problem,it came delivered in a really small package,great design,great jacket. Does the hood still have velcro for a fur rim? Hello Binker! For this season the svalbard cotton Anorak is the only jacket with a velcro rim around the hood. What denier is the fabric used in this jacket?